Oregon Taxi came to Allen Hall Advertising with the problem that students weren't using their app and they were having a hard time competing with Uber. Tommy Woods and I created this campaign to promote loyalty to Oregon Taxi among students and to combat the stigma that taxis are expensive. We completely redesigned the app, making it more interesting and friendly for college students. We added features such as split fare, Instagram photos from popular locations, and a rewards program. 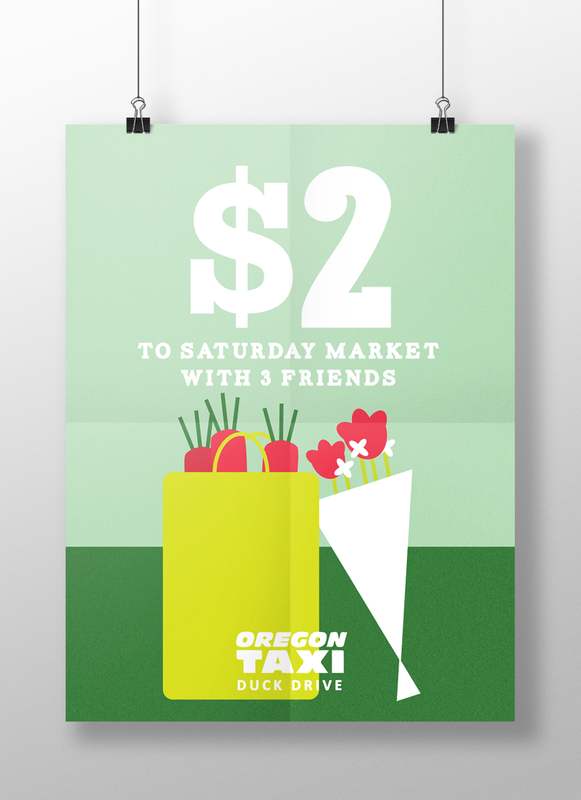 I created badges to promote traffic to popular areas in Eugene, and to keep students coming back to collect more badges and prizes, such as free rides. These were specifically geared towards freshman and sophomores who are more likely to not have cars. 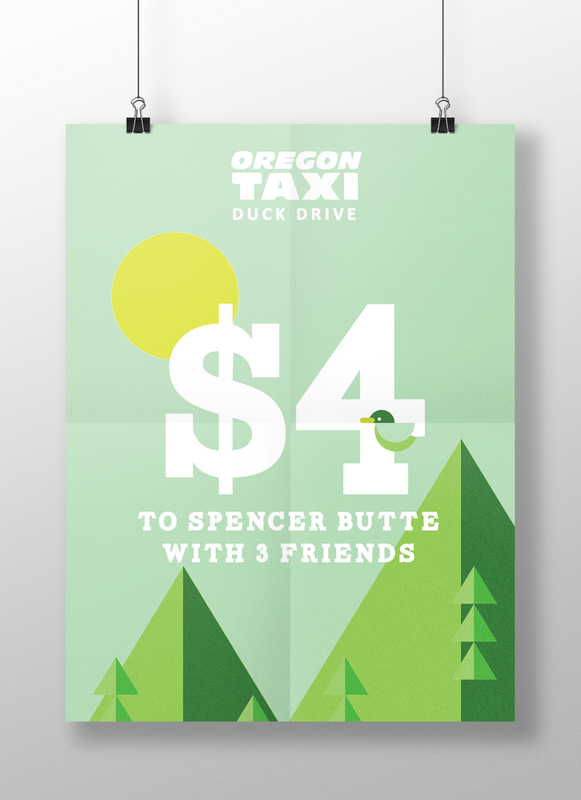 Instead of trying to offer free rides for students, which would be a financial cost for Oregon Taxi, I created these posters to show students that taking a taxi is cheap, feasible, and more fun with friends. I created this billboard mockup to spread brand awareness and to promote the business specifically towards students. *Disclaimer: this is student work that was not chosen by the company to be produced.